NatureHood is a signature program of Nature Canada. 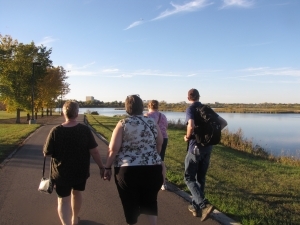 Its goal is connecting people of all ages to nature right where they live - which, in Canada, increasingly means urban centres. NatureHood inspires urban residents to connect with nature through innovative programming, celebratory events and stewardship activities set in urban green spaces and Important Bird and Biodiversity Areas (IBAs). In July 2012, Nature Canada started its pilot NatureHood program along the Ottawa River at the Lac Deschenes-Ottawa River IBA. 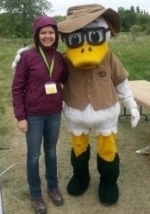 Nature Saskatchewan has partnered with Nature Canada to deliver the NatureHood program in Saskatchewan. Each year we hold free public events to inspire people to get outside and enjoy the nature that surrounds them. 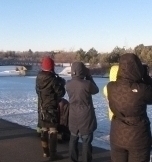 Events such as the Christmas Bird Count for Kids allows children of all ages to learn about the birds that can survive our tough winters and lets the kids practice their bird ID skills. 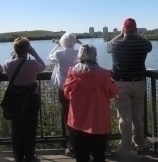 Bird walks around Wascana Park, and the Wascana Lake Migratory Bird Sanctuary encourage all ages to come and discover the many species found here in Regina. However, it is not all about birds… Nature is everywhere, and geocaching is a great way to explore the outdoors. 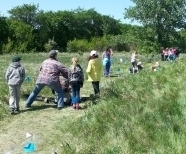 Nature Saskatchewan holds many geocaching events around Regina. Check out our Facebook page or our Events Calendar for fun free family activities happening near you. Check out the Regina NatureHood Brochure (english) or the Regina NatureHood Brochure (french).